I am confused on how Vati and Mutti are used. As I understand it, Vater is used like father in English while Mutter is like mother. So would Vati and Mutti be more of a colloquial thing like mum or dad? Yes, „Vati“ and „Mutti“ are two of many different pet names for „Vater“ and „Mutter“. 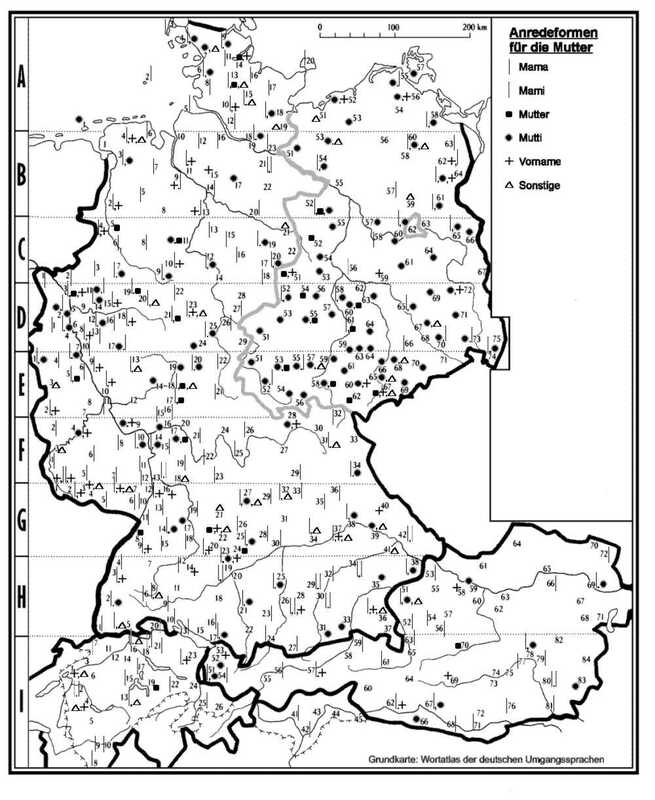 Here is an example of how many names there are for „Großvater“ and „Großmutter“. As you can see „Opi“ and „Omi“ are very rarely used. The same applies to „Vati“ and „Mutti“ (See Ngramm). The most common names for „Vater“ and „Mutter“ are just „Papa“ and „Mama“. But it’s just a matter of taste and every family handles it differently. There are even some kids who call their parents “Mom” and “Dad” But that is displeasing to most parents. Also note that „Mutti“ can be used when you mean the Federal Chancellor of Germany „Angela Merkel“. Not the answer you're looking for? Browse other questions tagged meaning colloquial or ask your own question. Why is the meaning of “Triefnase” vs. “Rotznase” used as an invective so different? What is the difference in “umgangssprachlich”, “familiär”, “salopp”, and “derb”?